P. Gopal Krishnan, Director, FNDR, is responsible for Finance, Legal Compliance and Infrastructural Operations of FNDR. 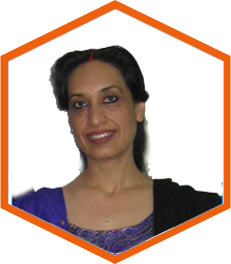 Gopal is a member of the Institute of Chartered Accountants of India. He has worked in various functions including Finance, Information Management and Supply Chain for over a decade and a half. He headed the Shapoorji Pallonji Biotech Park, Hyderabad, was responsible for finance, supply chain and information management at Ortho-Clinical Diagnostics, Johnson & Johnson Ltd, and started up KARD Scientific India Private Limited, Pune, a drug discovery laboratory. He is currently the Principal Consultant & Director of Stabaka Consulting Private Limited, a business consulting company. 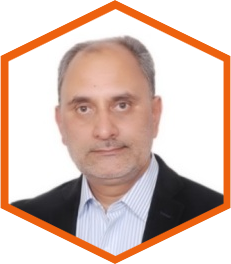 He brings to the FNDR team, extensive leadership experience with significant cross-industry, cross-functional and cross-border exposure. 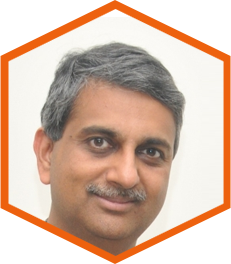 Dr. Vijay Potluri has over 12 years of experience in the pharmaceutical industry in both drug discovery and contract research. 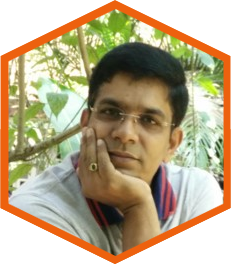 Vijay has a Master’s degree in Chemistry from Sri Satya Sai University, a Ph.D. in Supramolecular Chemistry from Indian Institute of Science, Bangalore and has done post-doctoral research at Yale University. 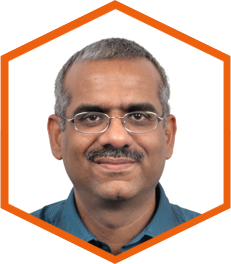 In a career spanning over a decade in Discovery Chemistry at Dr. Reddy’s Laboratories, Vijay has led several Drug Discovery programs, delivering multiple clinical candidates. He has worked on diverse therapeutic areas ( metabolic disorders, cancer, inflammation, anti-infective, pain, etc. ) and on a wide a range of target classes ( kinases, GPCRs, ion channels, nuclear hormone receptors ). In his last assignment as Associate Director at Aurigene Discovery Technologies, Vijay managed collaborative programs with US and European pharma companies and was responsible for achieving multimillion dollars as milestones for several Discovery and Contract Research Programs. A scientific advisory board of leaders in the field of TB and malaria research will be constituted by Q2-2017 to ensure that the overall deliverables of FNDR are in line with the global objectives for combating these diseases.